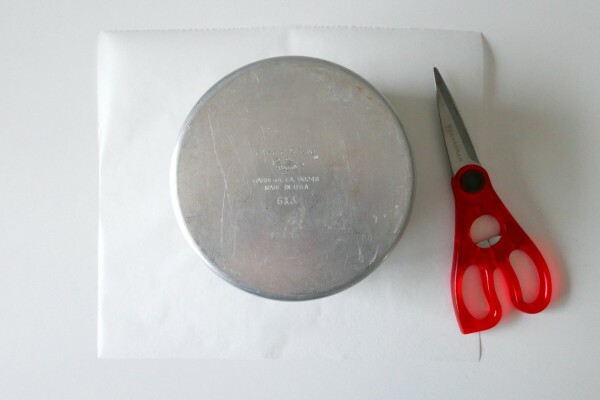 My mum taught me this simple trick a long time ago when she saw the way I would line the bottom of my cake tins. I laid out the baking paper, drew a circle around the cake tin on to the paper and cut around it. Time consuming, messy and I never got a perfect circle! This method takes less than a minute and gets a perfect circle every time. 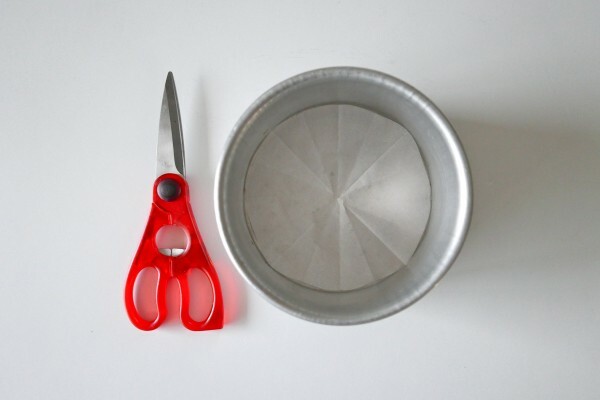 Cut a square of baking paper slightly bigger than the size of your cake tin. I cut mine a little bit bigger for photo purposes, you don’t need to cut a piece this big. 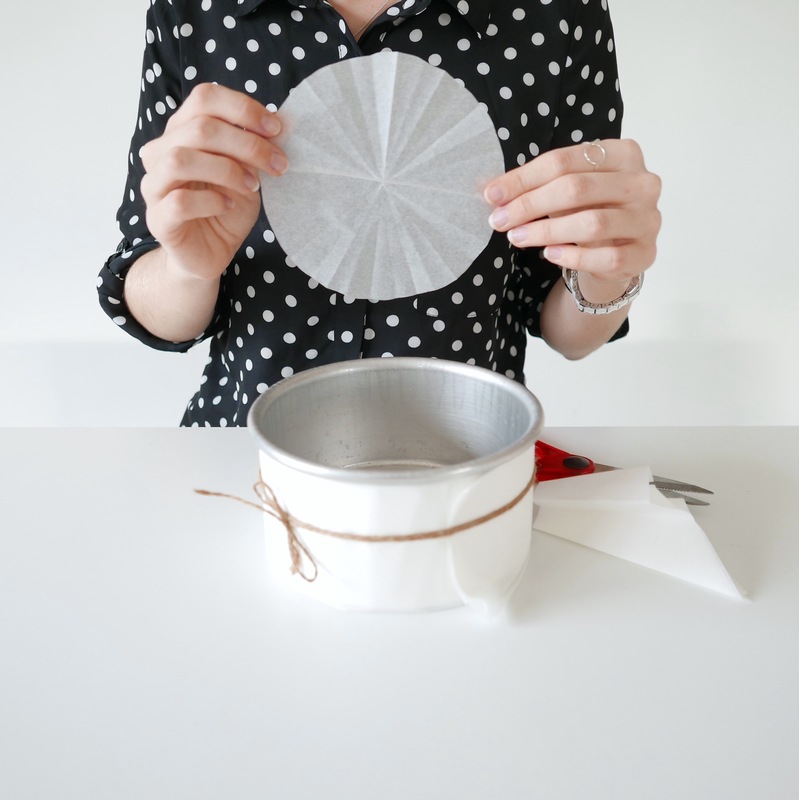 Fold it in half, and in half again making sure you are lining up the folded edges up each time. 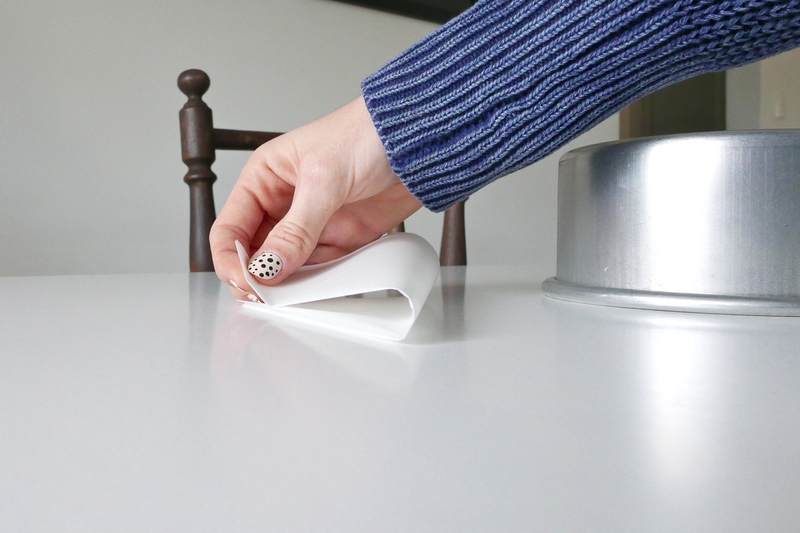 My finger is placed on the folded corner of the baking paper that will soon form the point of the triangle. Remember to make sure that you are matching the folded edges of baking paper together each time. 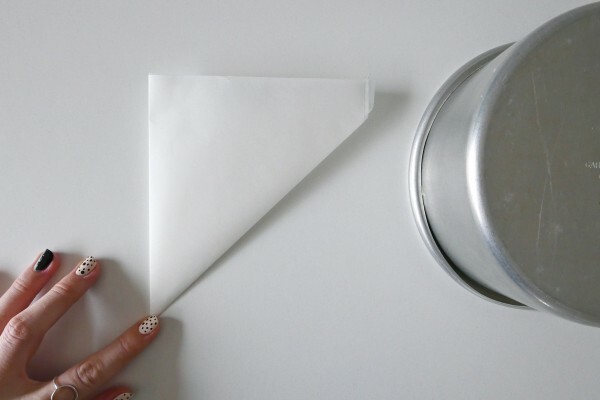 Fold the baking paper until you have a skinny triangle about 1-2 inches wide. Line the point of the triangle up to the middle of the cake pan. 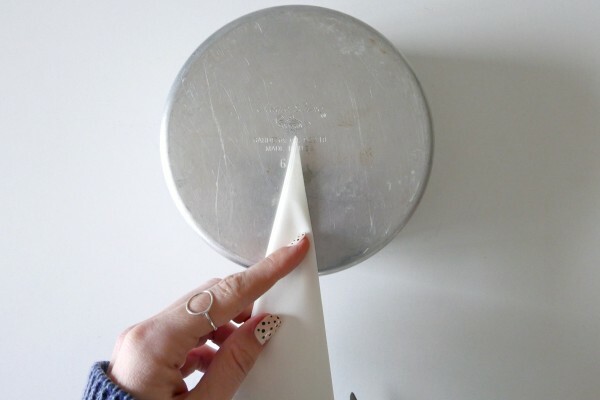 You can do this by eye (as per above); holding your finger at the spot where the baking paper hits the edge of the cake tin and trimming off the remaining baking paper. 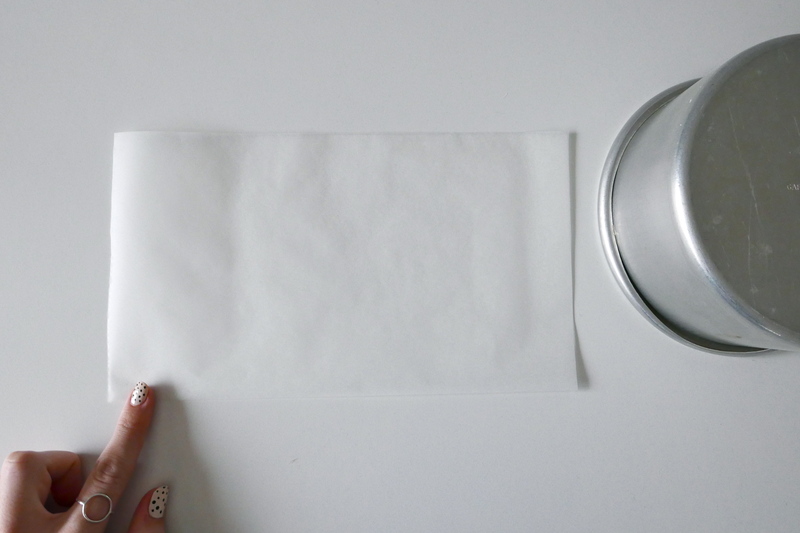 If you prefer you can measure with a ruler and mark with a pen. For example, for a 6″ cake pan, measure 3″ up from the point of the triangle and mark with a pen. 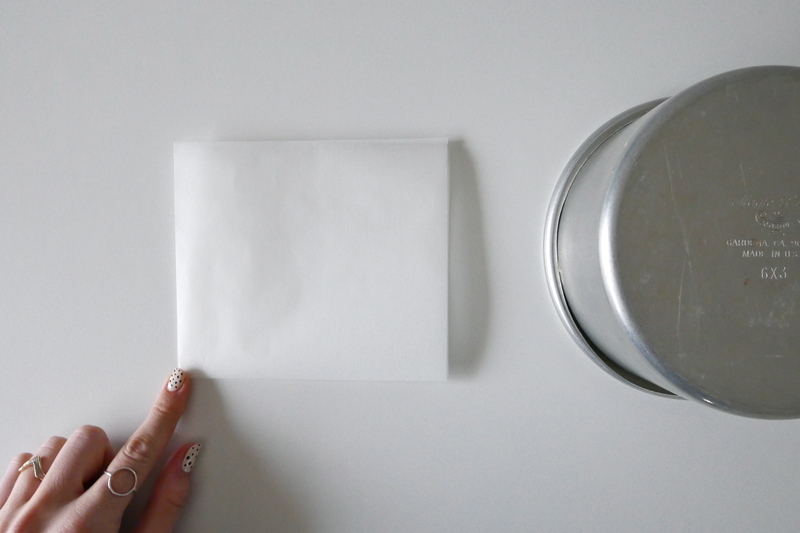 Cut off the remaining baking paper and unfold. Viola! 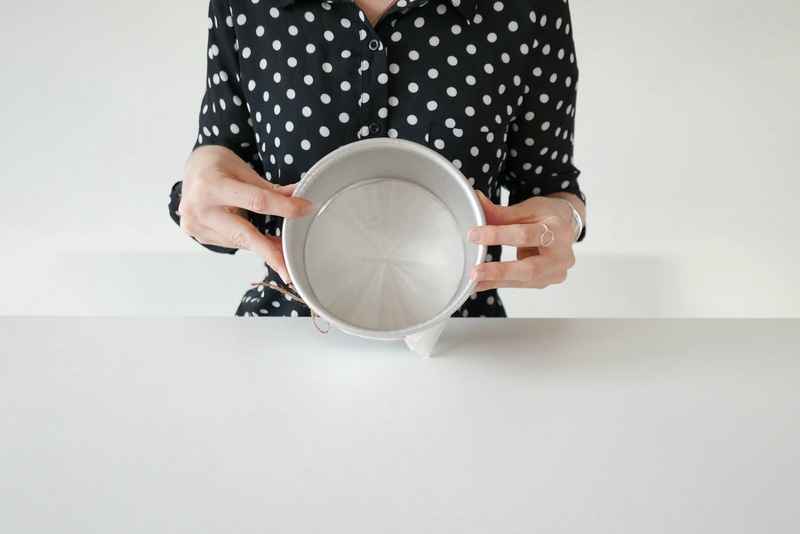 A perfectly round baking paper circle to line the bottom of your cake tin.